Should your office invest in a coffee machine? I swear by coffee. If I don’t have a cup in the morning I feel groggy and act irritable. (And I love the taste – an unpopular opinion, I know.) Despite my fondness for the drink, I’m surprised that study after study suggests coffee consumption has its health and productivity benefits, especially at the workplace. A 2013 NPR article proposed that coffee is the perfect antidote to tiredness. Drawing from recent studies, NPR reported that coffee makes workers alert, strengthens their mental performance, makes them support each other, and can reduce the odds of accidents on the job. There’s nothing like a cup of coffee to get you through the afternoon slump. From epSos. de. All of this good news, however, raises an important question for business owners: should offices have their own coffee machines, or should workers purchase their caffeinated drinks outside of work? The non-coffee drinkers are probably rolling their eyes already, and they may have a point. 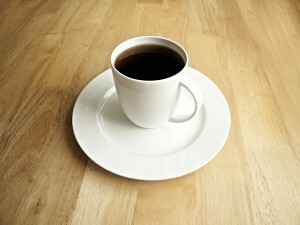 Sometimes we forget that caffeine is a terribly addicting drug, as the Smithsonian reported. Yet the numbers don’t lie – a majority of Americans consume coffee daily, and many workplaces need to determine how to best accommodate these employees’ needs. Arguments can be made for either side of the debate, since too many U.S. workers adopt sedentary workplace lifestyles. They remain fixed to their computer screens all day, rarely moving. As a result, the placement of coffee machines may have an effect on office productivity, according to the New York Times. Simply sitting at a desk for extended periods cripples workers’ efficiency, so setting up the office’s coffee machine far from most people can encourage social breaks, promote physical activity, and boost productivity. Yet some businesses are not be able to afford a fancy coffee machine and instead opt to let workers cover their own drink costs. But Mashable crunched the numbers – an expensive machine may be worth it in the long run. A machine that costs a few thousand dollars may not be a ridiculous purchase after all, keeping workers in the office for longer periods and potentially paying for itself over the course of a few of months. In light of these claims, I, as a coffee drinker, don’t know what the right course of action is for most businesses. No machine can compare to my favorite cafes, yet having a machine at work saves me my hard-earned money. But really, as long as I have my morning cup, I’ll be happy.